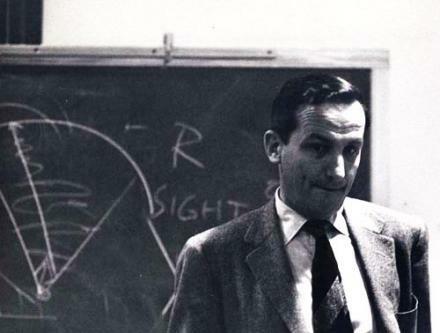 Philosopher and art historian Rudolf Arnheim inveighs against a pedagogical culture that privileges abstract reasoning to the detriment of artistic and sensory modes of perception. Today, the prejudicial discrimination between perception and thinking is still with us. We shall find it in examples from philosophy and psychology. Our entire educational system continues to be based on the study of words and numbers. In kindergarten, to be sure, our youngsters learn by seeing and handling handsome shapes, and invent their own shapes on paper or in clay by thinking through perceiving. But with the first grade of elementary school the senses begin to lose educational status. More and more the arts are con­sidered as a training in agreeable skills, as entertainment and mental release. As the ruling disciplines stress more rigorously the study of words and numbers, their kinship with the arts is increasingly ob­scured, and the arts are reduced to a desirable supplement; fewer and fewer hours of the week can be spared from the study of the subjects that, in everybody’s opinion, truly matter. By the time the competition for college placement becomes acute, it is a rare high school that insists on reserving for the arts the time needed to make their practice at all fruitful. Rarer still is the institution at which a concern with the arts is consciously justified by the realization that they contribute indispensably to the development of a reasoning and imaginative human being. This educational blackout persists in college, where the art student is considered as pursuing separate and intellectually inferior skills, although any “major” in one of the more reputable academic areas is encouraged to find “healthy recreation” in the studio during some of his spare hours. The arts for which the bachelor and the master are certified do not yet in­clude the creative exercise of the eyes and hands as an acknowledged component of higher education. The Greek thinkers were subtle enough not to simply condemn sensory experience but to distinguish between the wise and the unwise use of it. The criterion for how to evaluate perception was supposed to come from reasoning. Heraclitus had warned that “barbarian souls” cannot correctly interpret the senses: “Evil witnesses are eyes and ears for men, if they have souls that do not understand their language.” Thus, the split overcome in the conception of the physical world was now introduced into that of the mind. Just as the realm of order and truth had been beyond the range of life on earth, so it was now beyond the realm of the senses in the geography of the inner world. Sensory perception and reasoning were established as antagonists, in need of each other but different from each other in principle.